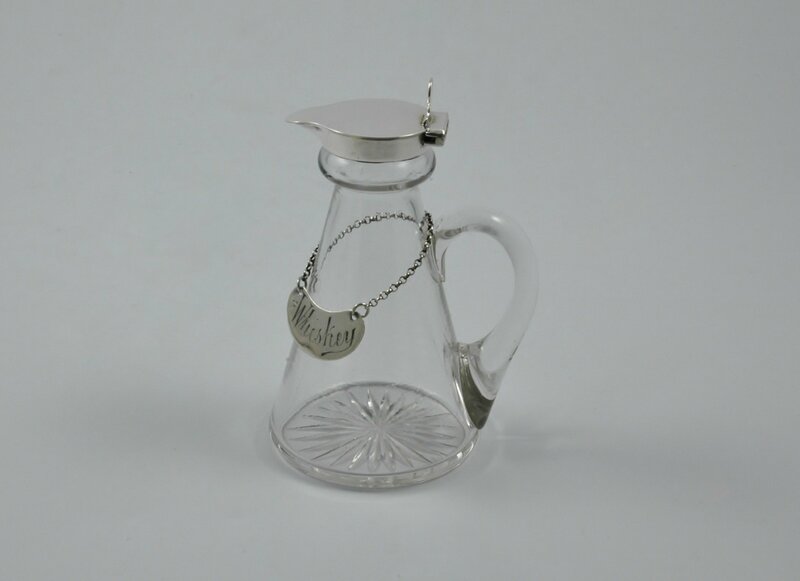 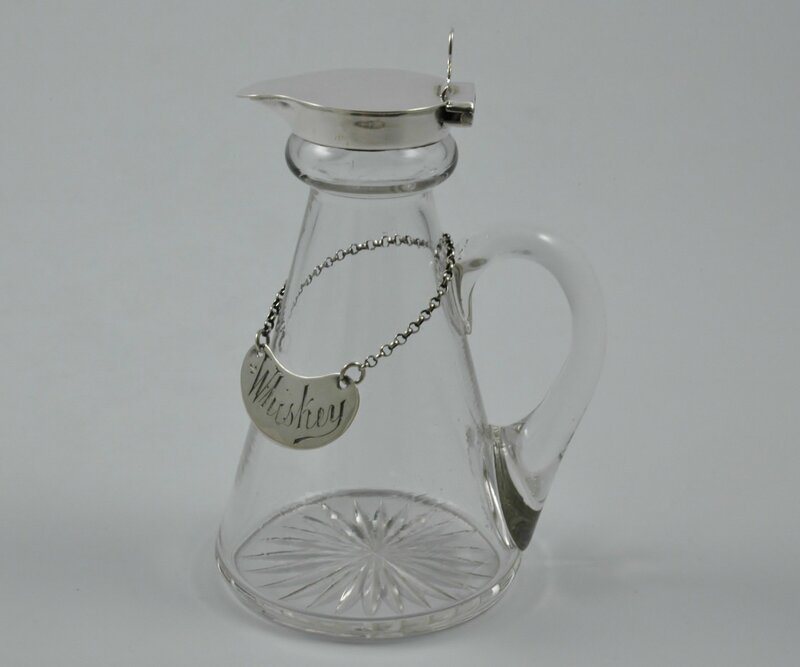 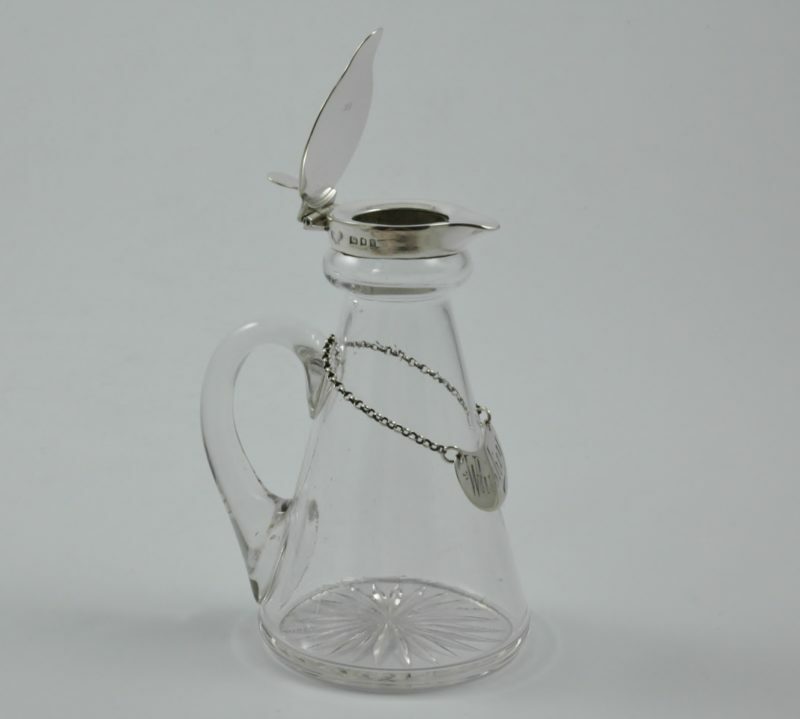 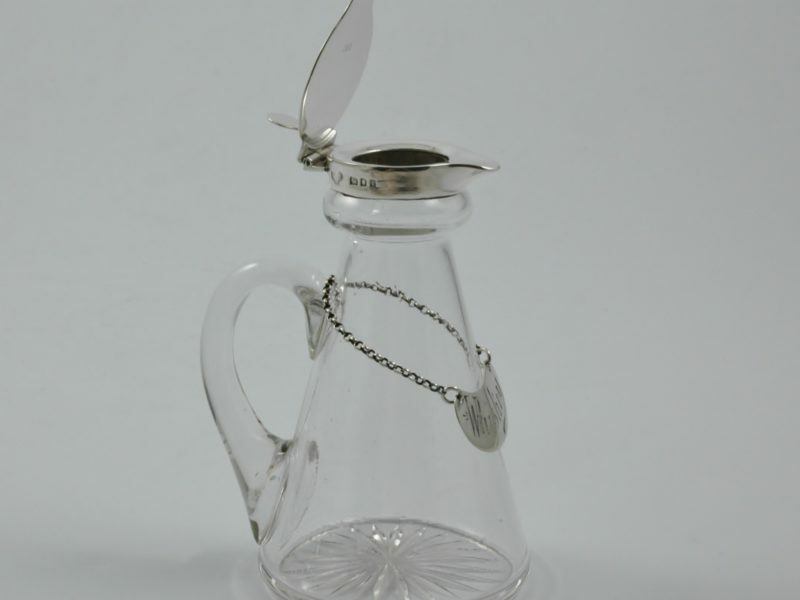 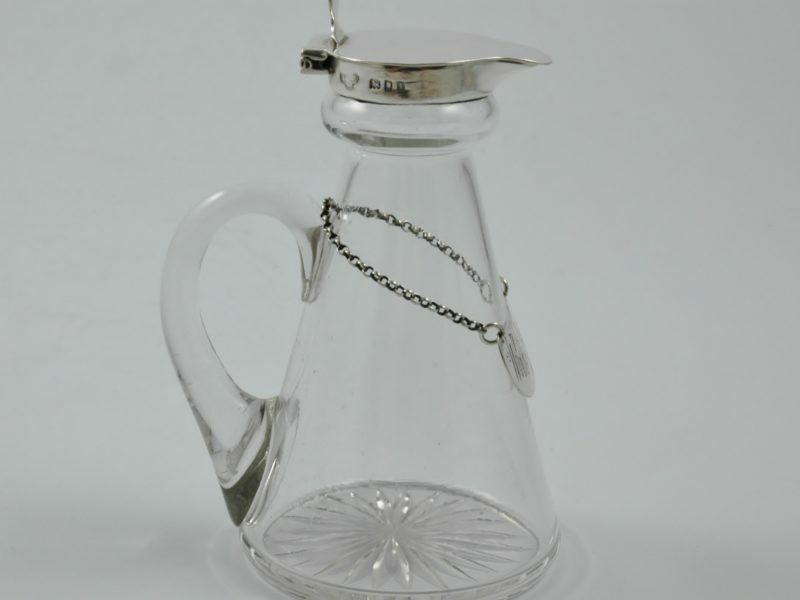 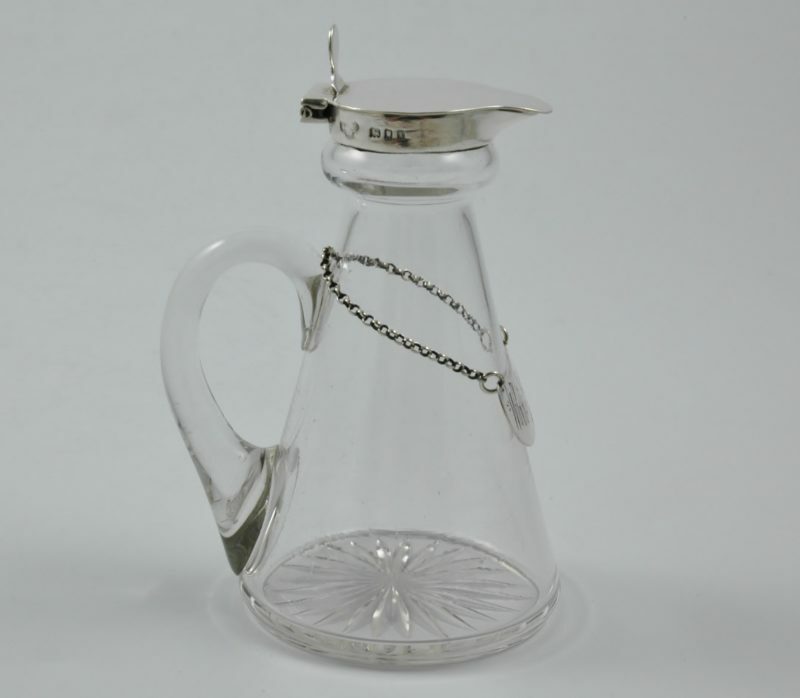 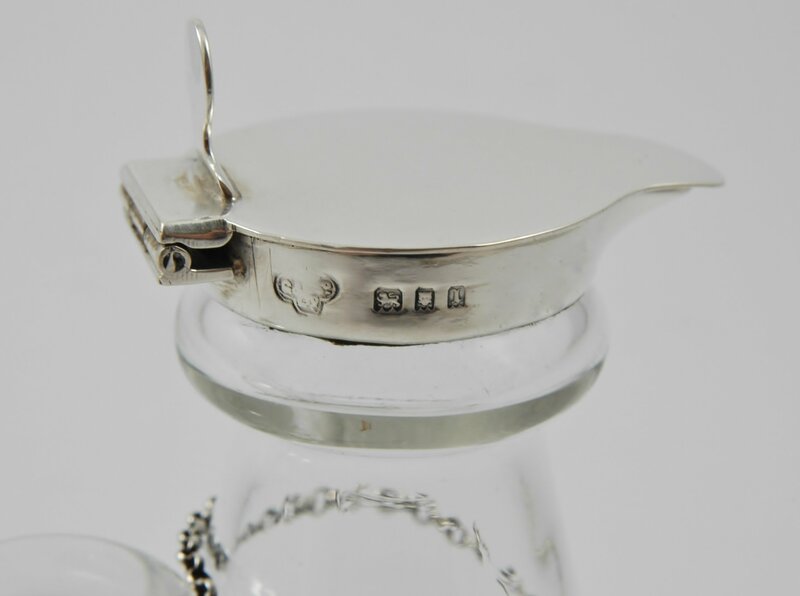 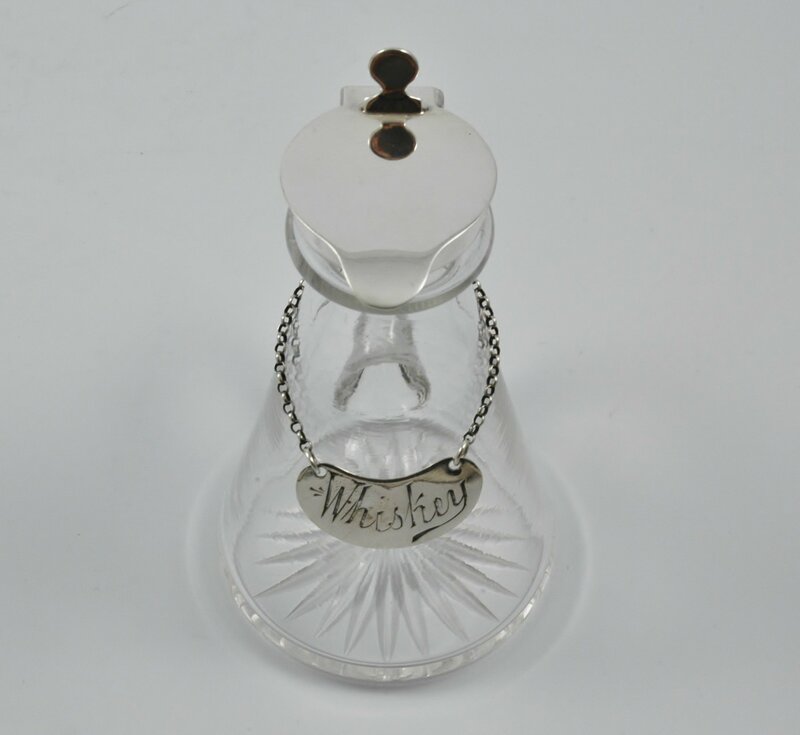 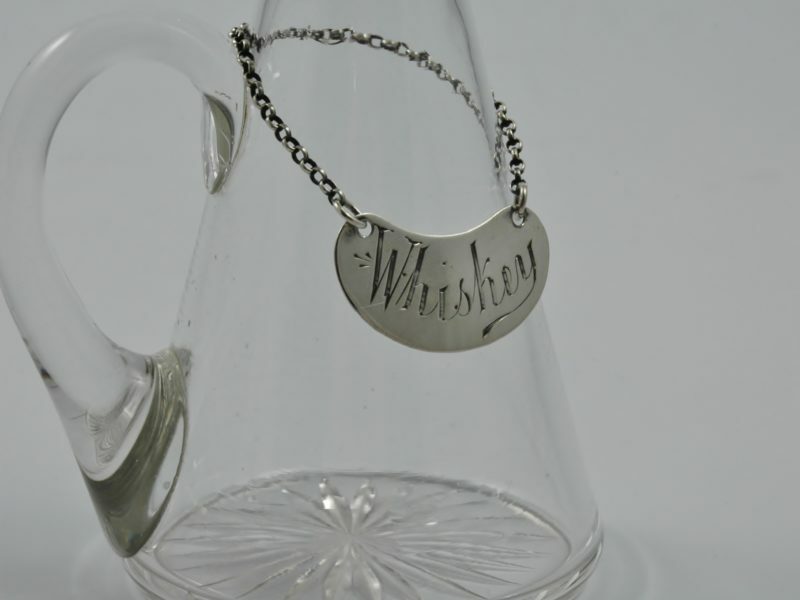 Silver mounted Whiskey tot jug marked for London 1926. 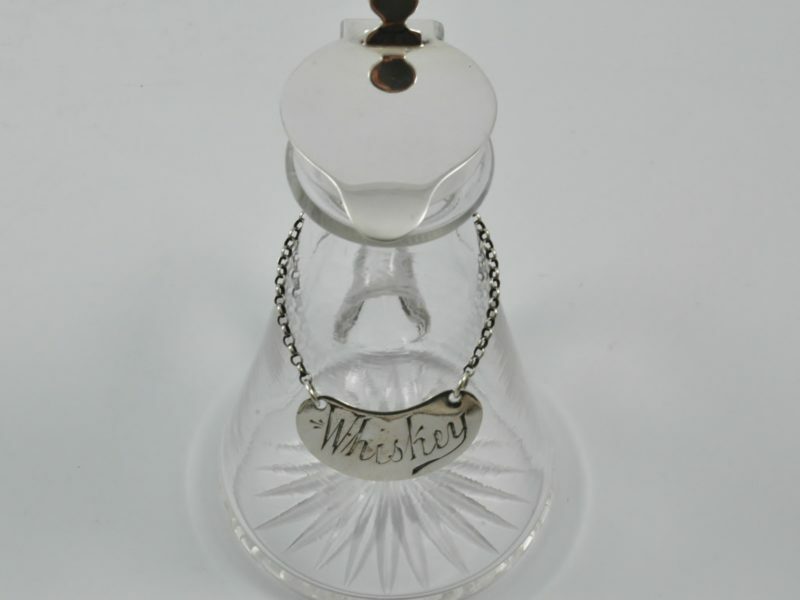 Note: The label marked for London 1910. Dimensions: 10 cm high by 6.1 cm base diameter.